Caribbean Development Bank (CDB) announces support for countries affected by Hurricane Irma – The Caribbean American Chamber of Commerce and Industry, Inc. The Caribbean Development Bank (CDB) hasannounced support for its Borrowing Member Countries (BMCs) affected by Hurricane Irma, and for the Caribbean Disaster Emergency Management Agency (CDEMA), which is coordinating the Region’s response to the affected states. The Bank is in the process of providing Emergency Relief Grants to Anguilla, Antigua and Barbuda, The Bahamas, the British Virgin Islands and the Turks and Caicos Islands. These Grants, totalling USD 200,000 each, will assist with costs associated with damage assessments and the provision and transportation of emergency relief supplies, water and sanitation resources, roofing materials for emergency shelters and community buildings, and temporary shelter for displaced persons. In addition, CDB has offered Immediate Response Loans of up to USD 750,000 to the affected countries. The Loans, available on highly concessionary terms, are designed to support the clearing and cleaning of areas damaged by Hurricane Irma, and the emergency restoration of services. As the Region anticipated the arrival of Hurricane Irma, the Bank also approved a fast-tracked grant of USD 150,000 to CDEMA to assist with preparations for mobilising and coordinating disaster relief. Dr. Wm. Warren Smith, President of CDB, noted the Bank’s commitment to providing assistance following the passage of Irma. “We reaffirm our support for our BMCs affected by this devastating hurricane. We very much regret the loss of life and infrastructure, and pledge to help the Governments and people of the impacted countries recover and rebuild in any way we possibly can,” he said. CDB’s BMCs affected by Hurricane Irma are also eligible to receive Rehabilitation and Reconstruction Loans. This instrument helps governments with their recovery efforts, to rehabilitate social and economic infrastructure, and restore key economic sectors to better than pre-disaster operating levels. The Loans also assist in reducing countries’ vulnerability to future disasters. As countries work on assessing the damage caused by Irma, CDB is also engaging development partners in discussions and planning for additional recovery and rehabilitation support. The Caribbean Catastrophe Risk Insurance Facility, a segregated portfolio company and CDB partner, announced last week that it will make payouts of USD 15.6 million on their tropical cyclone policies to the Governments of Antigua and Barbuda, Anguilla, and St. Kitts and Nevis as a result of the passage of Hurricane Irma. Additional payouts are expected in relation to water damage from flooding and storm surges. 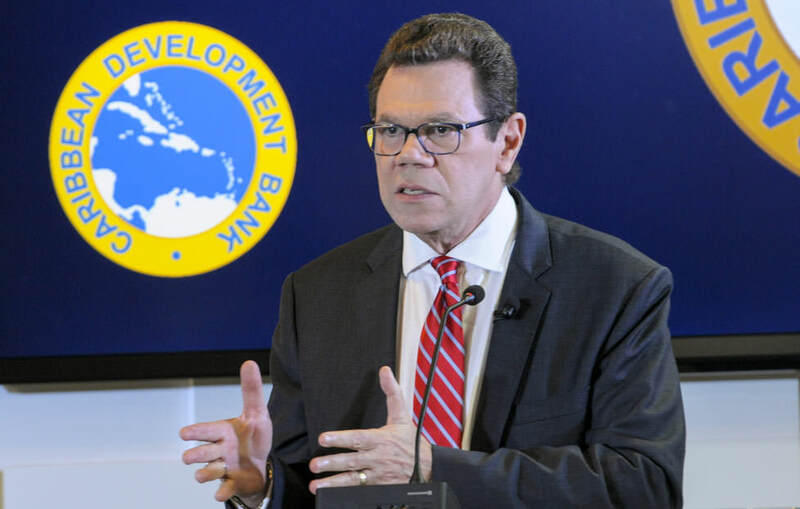 CDB, which started outreach to BMCs in the path of Hurricane Irma before its approach, continues to collaborate with governments as they begin detailed assessments of damage caused to economic and social infrastructure.